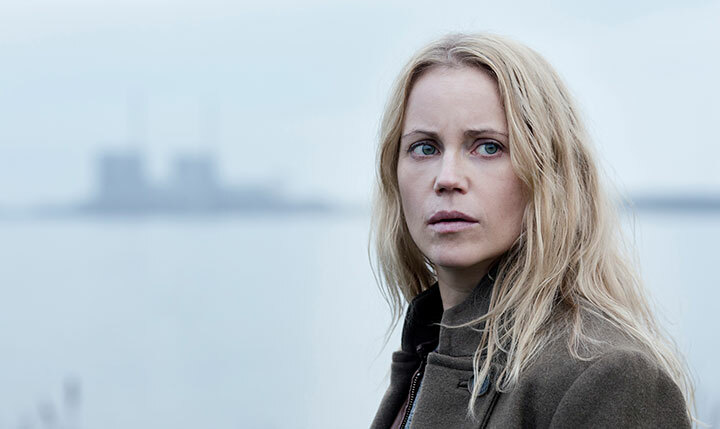 After four seasons starring in Swedish/Danish smash-hit series Bron/Broen (The Bridge), Sofia Helin is setting up her own shows and helping to coordinate a protest about the way women are treated in the film and TV business in Sweden. As Nordic noir continues to ride a wave of global popularity, one show still stands taller than the rest. 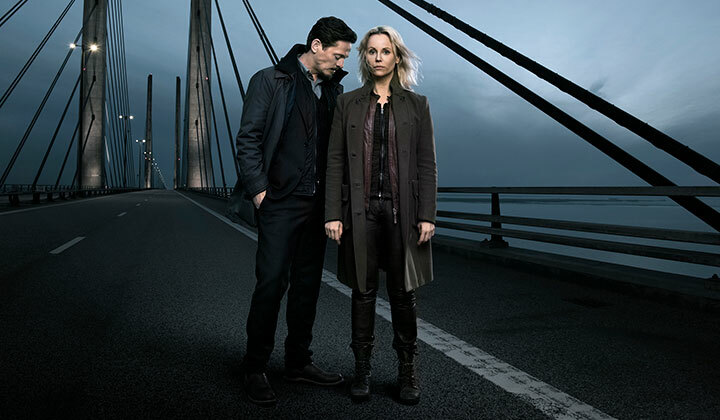 Wallander and Forbrydelsen (The Killing) came before it and new dramas will surely follow it, but until something repeats its international success, Broen/Bron (The Bridge) is arguably the biggest hit to come out of the Scandinavian crime genre. 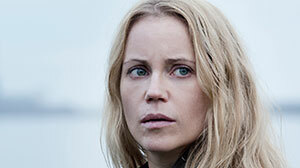 Central to its success has been Sofia Helin’s star turn as Saga Norén, a brilliant yet unorthodox Swedish detective who teams up with her Danish counterpart to solve a series of gruesome murders discovered around the Øresund Bridge that links Malmö in Sweden to Danish capital Copenhagen. Helin is now well known around the world thanks to her iconic role in a series that will conclude after its fourth season, which began on New Year’s Day on Denmark’s DR and Sweden’s SVT. The actor says she is now considering what to do next. She has already crossed borders to star in The Same Sky, a German-produced spy thriller set during the Cold War. “That’s where I am now, thinking what can I do with this platform. I’ve come to the conclusion I love being a storyteller and I love being a part of the process. To that end, Helin is already developing two new projects. The first, Get Naked, is described as a comedy about female sexuality, particularly focusing on older women. Miso Film is producing alongside distributor FremantleMedia International. “After a certain age, women just disappear,” Helin states. “If you go into a store and you see all the newspapers, you see there are no mature women. They’ve just vanished. Mature women’s sexuality is just invisible, but we have it and it’s a strong power. The second project, Heder (Honour), is a thriller set in a law firm that works with victims of sexual crimes. Helin created the series with fellow actors and executive producers Julia Dufvenius, Anja Lundqvist and Alexandra Rapaport, who all star. It is produced for Discovery by Bigster and distributed by Eccho Rights. Honour is a particularly timely piece, coming in the wake of the sexual misconduct allegations coming out of Hollywood and elsewhere in the film and television business and the #MeToo campaign on social media, both of which have had a big impact in Sweden. Helin has been a particularly vocal supporter of the #tystnadtagning (#silenceaction) movement, which saw almost 600 Swedish actresses sign a letter calling out the Swedish film and TV industry for failing to protect women from sexual abuse. “It started with #MeToo and then, after a while, a few of us actresses felt we had to say something publicly about what it’s like in our business,” she recalls. “We started writing on Facebook, just like 10 of us, and then in 36 hours we had more than 1,000 members. So many horrible stories were written on this group, so we realised we had to do something more – to tell the world about our world – so we started a revolution, you could say. 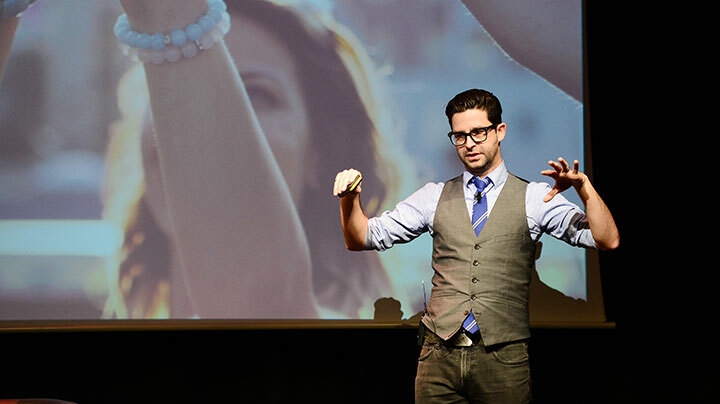 “We want to change the industry from the ground up. Just stop behaving like that. For all of us, it’s a new way of looking at the world so we have to learn together. It’s not a matter of us and them, it’s about doing it together. Hopefully it’s going to spread throughout the world so we can start talking about this without just blaming and having a war. This isn’t the only movement taking place in Sweden, however, with Helin identifying another change in society that has come to light through the making of The Bridge. “This season is about identity and it’s been so amazing, and sad also, to go through this period because when we started the show, the bridge was a symbol of gathering,” she concludes. “It was an open bridge where you could go between countries. The cities of Malmö and Copenhagen were growing together and there was a very positive feeling around the bridge. As Content London 2017 comes to an end, it’s clear that talent is now in greater demand than ever. 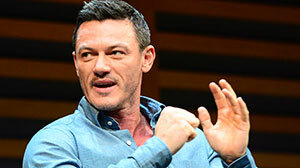 But while a host of A-list names attended the three-day event, delegates also learned about a community of new writers with stories ripe for adaptation. 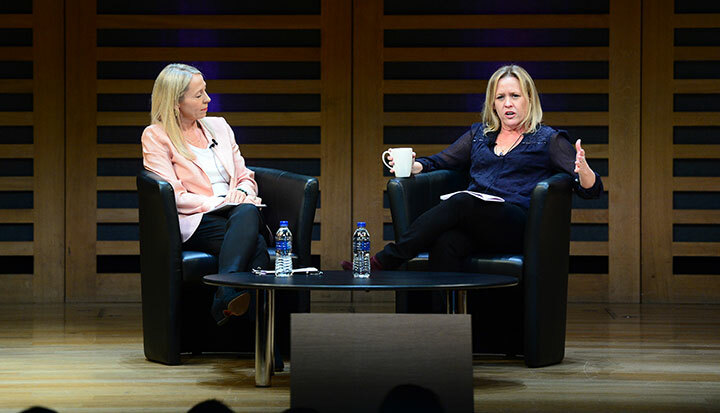 In its fifth year, C21Media’s Content London this week was bigger than ever before, bringing together more than 1,500 people from across the scripted television business for the International Drama Summit. Panel sessions covered every corner of the industry, from the challenges facing distributors and how drama producers are changing, to ever-evolving market forces, uncovering new sources of financing and the secret to working with SVoD players. Speakers were drawn from every major company in the sector, including FremantleMedia, Banijay, Endemol Shine and ITV Studios. Commissioner panels featured the BBC, Channel 4, SVT, DR, YLE, Starz, AMC, HBO, Epix, YouTube and Netflix. Executives hailing from Spain, Germany, France, Brazil and Australia also took to the stage to discuss their domestic markets and their strategy on the international scene. Unsurprisingly, one of the biggest draws at the three-day event, which finished today, was Swedish actor Sofia Helin, who discussed her career, the legacy of Bron/Broen (The Bridge) and new projects including Heder (Honour). Helin’s appearance capped a line-up that focused heavily on the creative side of making television drama – and with good reason. As more and more money is made available to producers – through coproductions, SVoD players with money to burn and new funding companies ready to invest – financing is available to meet the high-end budgets dramas now demand. 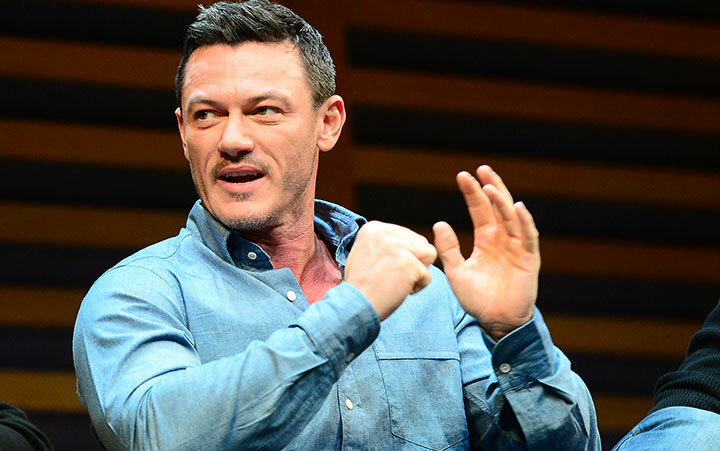 The talent attached to a project is now paramount, with the number of shows in development and production meaning actors, writers, directors and other key creatives are more in-demand than ever. At Content London, Agyness Deyn, discussing her first television role, Jim Sturgess and Nikki Amuka Bird spoke about starring in six-part drama Hard Sun. Adrian Lester joined delegates to watch the world premiere of new ITV drama Trauma (pictured top), which is written by Doctor Foster’s Mike Bartlett. David Morrissey showcased BBC2’s The City & The City, Kim Rossi Stuart talked Italian hit Maltese Luke Evans joined a case study of The Alienist, which examined US cablenet TNT’s forthcoming period drama. Writers and directors also taking part included Neil Cross (Hard Sun), Hossein Amini and James Watkins (McMafia), Kari Skogland (The Handmaid’s Tale), Marc Evans (Trauma), Harry and Jack Williams (Liar, The Missing), Jakob Verbruggen (The Alienist), Geoffrey Wright (Romper Stomper), Tony Grisoni (The City & The City, Electric Dreams), David Farr (Electric Dreams) and Jon Cassar (Medici). In a separate session, Helin was also joined by fellow actors Alexandra Rapaport and Julia Dufvenius to talk about Heder (Honour), which they have created and executive produced together with Anja Lundqvist, another actor. The focus on creative talent inevitably led to the subjects of packaging and when to attach talent to projects, with ‘the sooner the better’ emerging as the general consensus. Euston Films MD Kate Harwood revealed how the BBC snapped up Hard Sun before star names such as Deyn, Sturgess and Amuka Bird were cast in the lead roles, though commissioning the next series from Luther creator Cross was unlikely to be a difficult decision. In such a congested market, talent is the quickest way for a show to make some noise. For most, however, there just isn’t enough to go around. That’s why it was encouraging to hear the Williams brothers discussing their forthcoming slate, which features series White Dragon and Cheat, both for UK broadcaster ITV and both coming from first-time writers. With more than 10 years in the business, and being responsible for some of the most talked-about and compelling series of recent time, Harry and Jack Williams are now using their experience in the business to bring forward new voices – something broadcasters always say they are keen to do but rarely act upon. In their bid to nurture new TV talent, commissioners and producers could also do a lot worse than sign up for a Wattpad account. The social media storytelling platform has a community of 60 million writers and readers, and the company is drawing data down to find the biggest hit stories and working with their creators and partners including NBCUniversal and Universal Cable Productions to bring them stories to screen. With more than 400 million stories uploaded every month in more than 50 languages, Wattpad looks set to become the next major player in the content revolution.